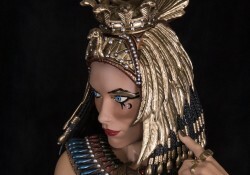 For more than 300 years, Cleopatra’s family ruled Egypt. 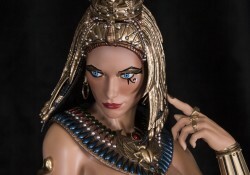 She was born the third child of King Ptolemy XII in 69 BC. Her name meant “glory of the father”. 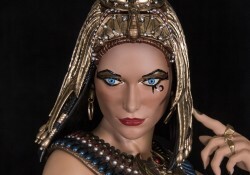 At only 18 years old, Cleopatra became Queen of Egypt and was regarded as a great beauty, even in the ancient world. Eager to take advantage of Julius Caesar’s, Cleopatra had herself smuggled secretly into the palace rolled up in a carpet. She became Caesar’s mistress, and nine months after their first meeting, in 47 BC, Cleopatra gave birth to their son, nicknamed Caesarion. But it was Mark Antony who actually captivated her heart and for whom she truly fell in love with. 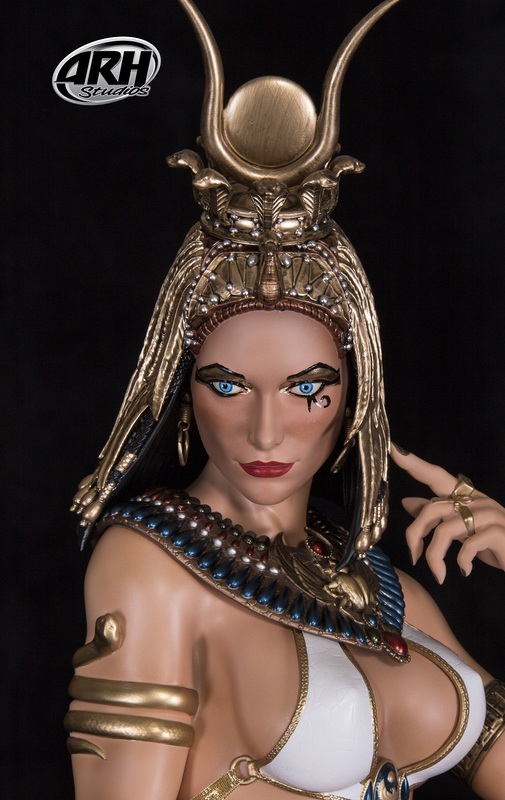 Her legacy survives in numerous works of art and the many dramatizations of her story in literature and other media, including this astonishing 1/3rd scale Polystone Statue. 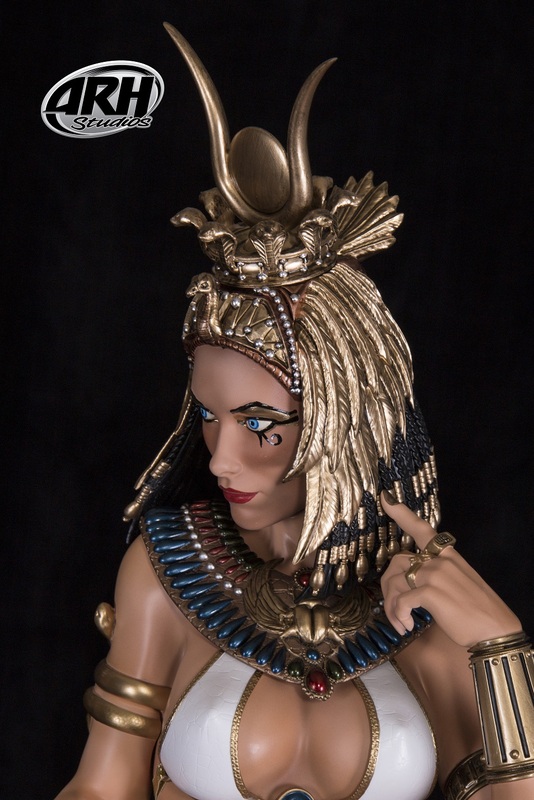 Sculpted and painted by Arahom Radjah with Ehren Bienert this fantastic piece is sure to honor the Great Queen of Egypt! The second EX head is not in the box with the statue, and it will ship later on once the factory finishes producing it (only the shipping cost will be charged). Your payment plan payments DO NOT include shipping. 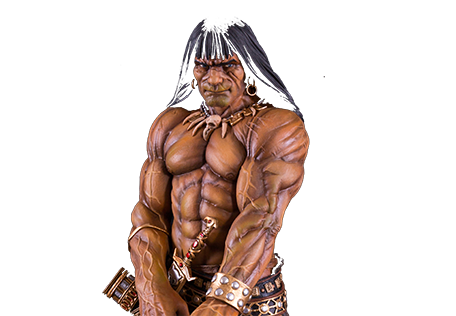 Shipping cost will be charged separately after the payment plan is paid off and before the statue ships.